According to the website of the Real Academia Española, the adjective pelón has several meanings, among which are “having no or little hair” and “having a lot of hair”. The former is the common definition of the word in a more “standard” Spanish, whereas the latter is specific to Ecuador. This is, of course, an extreme example of regional differences within the Spanish-speaking world, but it is important nonetheless, as it demonstrates the ability of a single word not only to have separate meanings but also to have completely opposite meanings. It is very unlikely that an interpreter specializing in a field such as engineering will ever use the word pelón, but it does provide a valuable lesson when interpreting into or out of a language as diverse as Spanish. While it is difficult to quantify how many people speak any given language, it is estimated that around 414 million individuals speak Spanish in approximately 20 different countries. It is no surprise that the language has evolved at different rates and in distinct ways in each of these regions; unfortunately, this fact can only add to the frustrations faced by Spanish interpreters in today’s market. What should an interpreter do with the seemingly impossible task of interpreting either from or into Spanish? When the language of origin is Spanish, it is important that the interpreter be familiar with the specific variety being spoken. Even within the United States, one finds a broad range of regional dialects; thus, it is crucial that the interpreter recognize the differences among the Spanish spoken in New York, Florida, and California, to name some examples. These variations of Spanish will be based on the speakers’ countries of origin and may also be influenced by the adoption of some American English words into Spanish to create a unique mix of English and Spanish. Similarly, when interpreting into Spanish, you must keep in mind the target audience and the regional variations they are accustomed to hearing. The language you speak should sound natural to them, which is best achieved if you are aware of their specific variety of Spanish. As always, communication between you and your client is crucial, as it will facilitate your work and allow you to provide your client with an excellent final result. Do you have any suggestions for interpreting regional Spanish dialects? 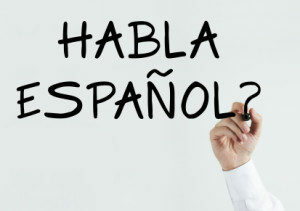 Have you ever interpreted from or into a variety of Spanish you were not as familiar with? We would love to read your thoughts in the comments. Spanish dialects are many and varied. I have translated European Spanish and Latin American Spanish and between these two you have to be careful, but even more so, when you translate regional Latin Spanish. My only recommendation is don’t translate it unless you are sure. Hi Christopher, thank you for your comment. I absolutely agree with you, don’t translate unless you are sure! I have translated from / into several varieties of Spanish and English, as this reality doesn’t only apply to one, but all languages spoken in more than one country. To me, this is a delicate topic that as translators / interpreters we must treat with as much respect as we do any other subjective belief or matter; let’s say religion for example. There is no absolute & correct truth, therefore we must treat each case differently, based 95% on our interlocutor, 5% on our experience and judgment. When translating, as opposed to interpreting where we won’t get a chance to “go back” and review, the other best practice is to proof read, not only to check for mistakes, but to make sure we’re sounding as natural as possible in our target language.